As the weather gets warmer and the snow begins to melt, the students of F&M begin to look to downtown Lancaster for end of week activities. Now that snow and ice no longer make walking difficult, it’s much easier for F&Mers to look outside the campus bubble for things to do. Most students know of the ideal ice cream spots in Lancaster City- Rolled Cold Creamery, Splits & Giggles, Penny’s Ice Cream, and Lancaster Sweet Shop, just to name a few. Then of course there’s Lancaster Central Market located on Market Street, open Tuesdays, Fridays, and Saturdays. Though you can’t find ice cream there, you can go cool off with a smoothie from Central Market Juice Company or a Rijuice from a stand near the King Street entrance. New to Lancaster on Saturday March 24th is a new warm weather option and alternative to the more conventional ice cream, milkshakes, or smoothies typical of the Spring and Summer seasons. This innovative new option is edible cookie dough, soon to be offered at Dough & Co. located at 46 N. Prince Street. 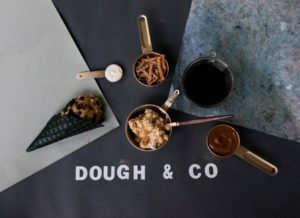 Dough & Co. will be opening its doors for the first time at 11:00am, carrying a number of different cookie dough flavors such as chocolate chip, S’mores, and Lancaster Batch (containing sea salt, caramel, pretzels, and Nutella). Though this is not an ice cream shop, the cookie dough will very much resemble this classic treat, served in cones or bowls and even available as milkshakes. 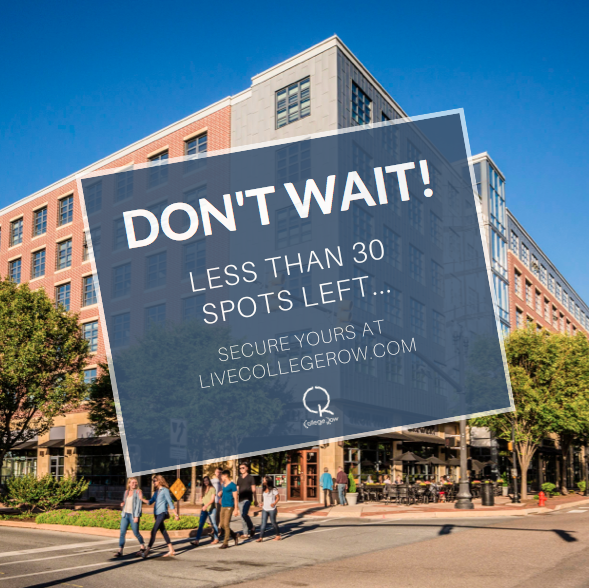 There will additionally be ice cream from Carmen & David’s Creamery available to accompany the cookie dough as well as a milk bar, a name for a snack bar that carries milk-based products such as iced-coffee. While Dough & Co. is not the first edible cookie dough store, it is a part of a niche dessert trend. In 2013 Edoughble hit the markets as the first national edible cookie dough company in the United States, gaining the notice of celebrities such as Whoopi Goldberg and Jimmy Fallon. In January of 2014 the cookie dough craze continued with the appearance of Joan Pacetti and Julia Schmid on the popular television show Shark Tank. These two entrepreneurial women left with investments from Lori Greiner and Steve Tisch to develop their company, The Cookie Dough Café, franchising gourmet edible cookie dough throughout the United States. Edible cookie dough continued to rise in popularity, and soon the massively popular DŌ opened in New York’s Greenwich Village. This particular location of edible cookie dough quickly trended online, no doubt because of its bright presentation as well as its incredible flavor. The opening of Dough & Co. stands to bring a similar air of fun and novelty to Lancaster City’s existing food scene and will no doubt become a popular spot for the students of nearby Franklin & Marshall College as well as Millersville University. Junior Abigail Sokolsky is a layout assistant. Her email is asokolsk@fandm.edu.